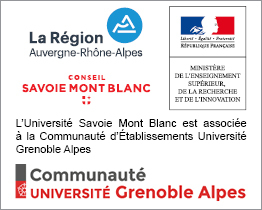 You want to come to the University of Savoy Mont Blanc as part of a privileged partnership between your University of origin and the University Savoie Mont Blanc, whether through the Erasmus programme or a bilateral Convention. Do you have a lot of questions about your registration, your accommodation, life in our region? Do not hesitate to browse our site where you will find many answers! Presentation brochure of the University Savoie Mont Blanc in French (actualisé 2019), English (actualisé 2019), German, Italian, Spanish, Portuguese, Russian, Chinese, Japanese.